2610g capacity. My Weigh classic triple beam balance scale with a large capacity. This triple beam comes complete with the upgrade attachment weights.the My Weigh comes complete with the upgraded attachment weights for free. Truly a great triple beam with the best value. 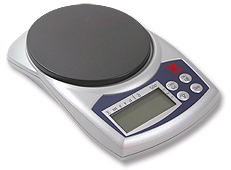 For Home, School, Lapidary, or birds, The My Weigh Triple Beam Balance is the best instrument for the job! 2000g x 1g. is the capacity for chrome. Blue and Silver have a 3000g capacity. 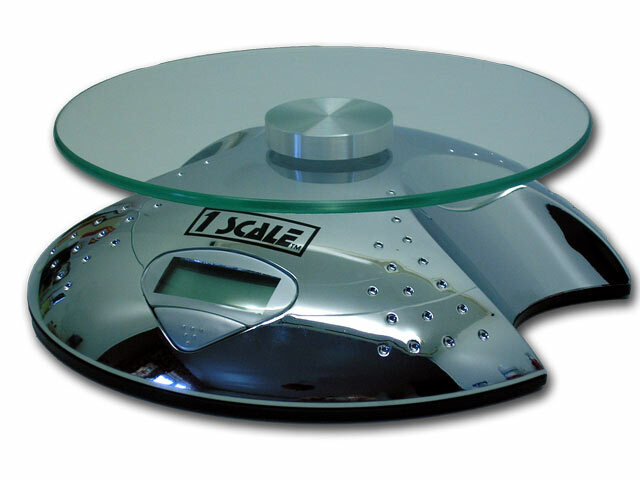 The 1 Scale 2000 is a top selling contemporary scale. It is one of the only scales with anti-bacterial protection and features our easy-clean tempered glass top design. It may look like a spaceship but it's a contemporary digital scale made of high quality materials by My Weigh. 2000g x 1g. Black or Silver. 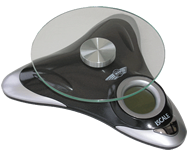 The iScale is the worlds first animated scale. Watch the display light up with a multitude of animatins. It has a 240 x 120 resolution display that shows full animations while weighing. 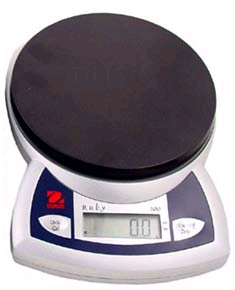 This makes weighing easier and more enjoyable that a standard digital scale. The iScale is a blend of modern technology and classic design. The chrome tips and black metallic finish couple to give unique styling flair. Addtionally, the round tempered glass top offers anti-bacterial protection. My Weigh.